Product #18256 | SKU BG-CG-1012 | 0.0 (no ratings yet) Thanks for your rating! 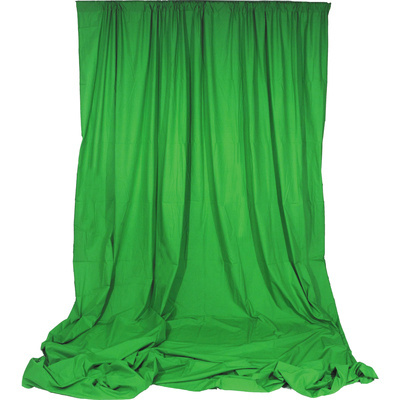 Impact Chroma Sheet Background - You go on a shoot and need to throw up a quick background for a headshot. Impact makes this chroma sheet background that is perfect for the job. This background also features a hemmed loop, which allows it to be used on a crossbar.